An institution has been lost in my neighborhood. The storefront that once held Sausage King is now up for rent following the passing of Fred Spenner. I only spoke to Mr. Spenner only a few times. 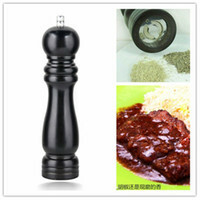 He always helped me choose the right meat for the recipe. Was I making paella? I needed linguica. And his liverwurst was always top notch according to Paul. And when I needed spatzel, I knew that Sausage King always had a few boxes on their shelves. But it was the Old World decor that in drew me in. There was nothing modern about this operation. 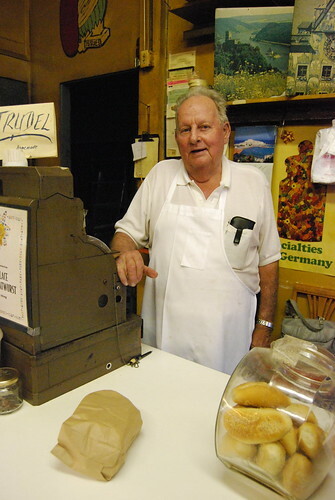 Everything from the vintage cash register to the way he cured the meats was how Mr. Spenner always did it (he opened his store nearly 50 years ago). 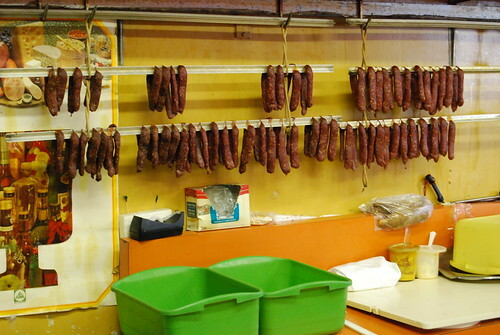 And there was the smell when you walked through the door— the seductive smell of sausages being cured. 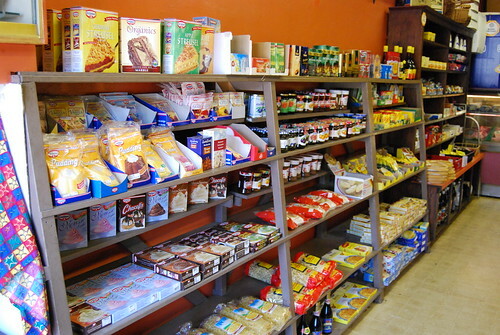 They hung on the wall, from the ceiling and every nook and cranny in that shop. 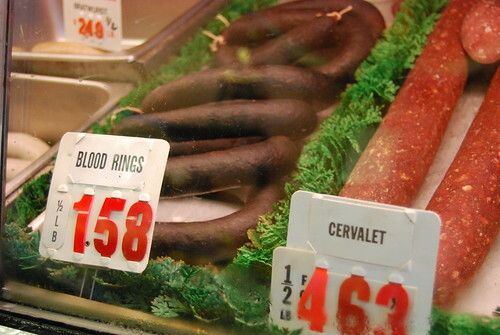 I regret that it took me so long to write about Sausage King (my photos are nearly three years old). In a neighborhood with a hairdresser, florist, coffee shop or Thai/sushi/fusion joint popping up every few months, Sausage King was the only institution that remained unchanged for nearly half a century. 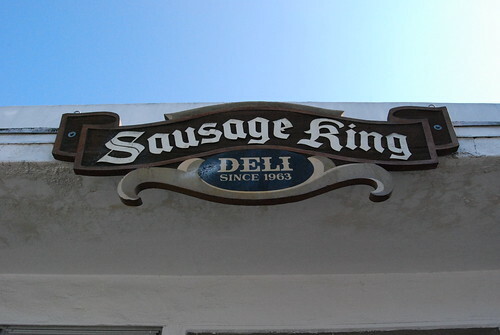 I always thought Sausage King would be around forever. So rest in peace, Herr Sausage King. You are irreplaceable. How sad. I was curious about this place and always put off going there and now it’s too late. Places like this are quite rare nowadays. Indeed… he and his wife were so kind to me and Dan. Every trip in there was a sample-fest and they were so damned good at what they did. Supposedly, he was going to leave the business to a couple of employees so they can continue it. I hope so… it’d be a fitting tribute to him for the Sausage King carry on. I was thinking about Abe Froman the other day. What did he really look like? I think I will now envision Abe as Mr. Spenner. We are saddened to hear this! 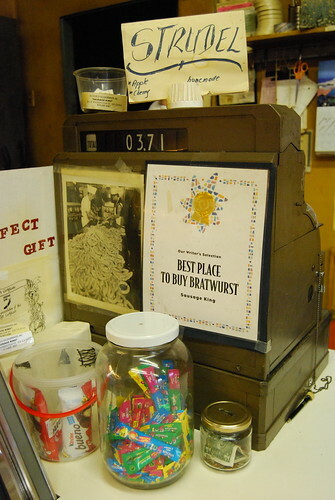 Loved the place and the folks behind the counter; they were so helpful about what kinds of sausage and bratwurst to use when James was planning fundraising events at work. Hi Darlene, I had a weird suspicion last time I was there but sorry to hear the confirmation on your post. I feel your writing and photos does great justice in representing how we all feel. Thanks for sharing. Damn! Another one of those places I always meant to check out and now it’s too late! 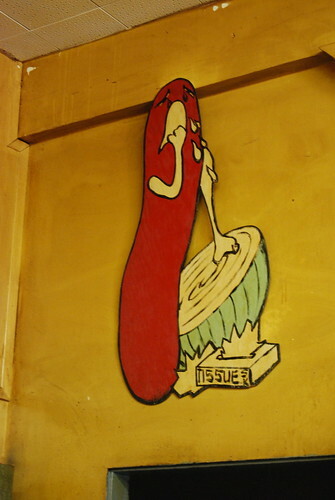 What a sweet tribute to the Sausage King… as they always say, better late than never. I sure hope nostalgic places like this don’t disappear forever. We need more Fred Spenners in this world. I am truley saddened. I have been going there since I was very young (I’m 40 now) My family is from Germany and going in there always made me feel at home. Ever since I was a little boy I would go in there with my Mom, I would listen to them speak German and Fred would always give me and my brother a piece of chocolate while my Mom payed for our meat and bread. I would always thank him in German and walk out to enjoy the ride home landjager in hand. I have always enjoyed going down there and every time I walk in there and the smell hits me, it takes me back to my childhood as if it was yesterday. In a way after reading this I feel as if I lost a part of my childhood now. Thank you for sharing your memories, Jason. Too bad there aren’t more places opening up to carry on the traditions of those that pass. So sad. I agree. There does appear to be a small movement for traditional butchers but the Sausage King was unique to the Mission Hills neighborhood.